This is a really good Friday, let me tell you! Tonight I'm heading into Chicago to see Sufjan Stevens in concert (yay! ), and right now, I'm sharing another sponsor giveaway with you! Katie from Green Bean Studio has quickly become a wonderful blog friend, and we're even collaborating on an upcoming issue of her zine. Last Christmas I ooh'd and ahh'd over some stamped items I saw in her Flickr stream, and was completely delighted that she had designed the stamps herself. This year, she is selling the stamps themselves in her shop. They are extremely versatile, and so very pretty. 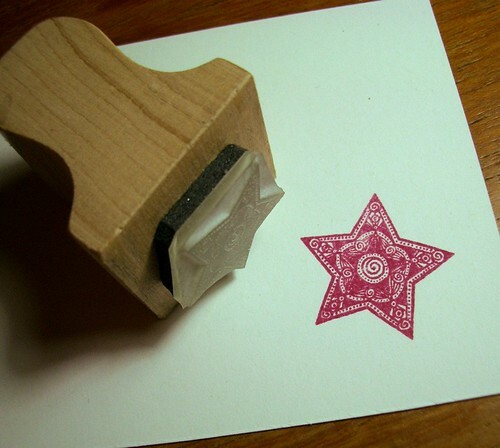 AND, she's giving away a set of three small stamps to one lucky reader! 1. Visit Katies's shop and blog, then come back and tell us what your favorite thing was that you saw. 2. Follow Green Bean Studio's blog for an extra entry (leave a separate comment). I love her NYC illustration as I was in NYC at the same time!!!! Yeah Katie!! I also follow Katie!!! On FB Twitter and her blog!! She is a fav!! i love everything, i can't just pick one thing! i love the "doodles in green" so cool! it makes me think that maybe i can doodle, too. but really mine are never nearly as cute. The stamps are my fave thing in her shop - although the Autumn print is lovely! i like her squash prints so much. squash is my favourite this time of year, to eat and decorate with. squash with a happy little face makes it that much better. Wow! I love the large star stamp and the girl with books print. I love her Autumn - Giclee Print print! It's everything I love about Autumn--a bit of wind, just enough for a jacket but not enough to freeze, and the leaves changing colors. I tweeted! <3 I'm glad to spread the news. I keeping eyeing that amazing star stamp! I am also following her blog now. I love discovering new blogs to follow and now I get to follow her creation of her graphic novel! It looks amazing. My favorite item is the lovely Girl With Book - 8 x 6 Giclee Print. That's how I feel when I read - like the pages are all around me. My favorite thing in her shop is the flying pig print. Too cute! wow thanks for introducing me to such a wonderful shop! I love the doodlies in green print or the star stamp - I can't believe that she makes them herself! Squash or lime, squash or lime I can't decide but when I'm rich they will be mine. On the etsy shop page I like the Autum girl best, on the blog... It's hard to say, I think I just like the whole blog? The Cheeky Lime print is so fun! 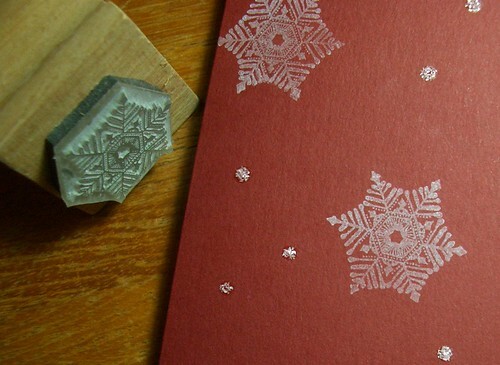 I love the squash print and also the set of 3 stamps! Those stamps are gorgeous!! hmmm...i love the zine & the autumn print is perfect for october! I love the Pea Pod family print!! So cute! And I'm now following the blog! The happy squash print is so cute! 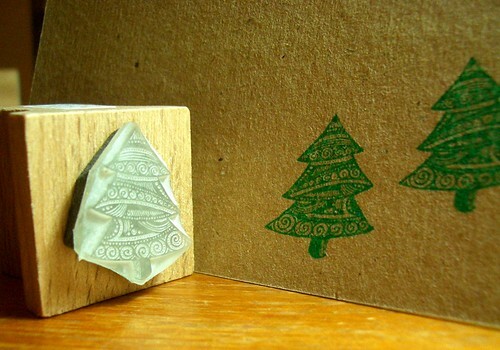 The squash print is adorable - but the tree stamp is my favorite - I have a weakness for all this christmas tree! I love that Katie incorporates food into almost everything (or at least that's what caught my attention). My favorite item for sale in her shop (though I love the cute cupcakey things) has to be the magazine, The Green Bean. It's just so unique: completely hand-drawn, personal updates, and food-related goodness. Katie's blog is just so cute! (following now) Count me in (x2)! I love the Autumn Giclee Print. Just beautiful! 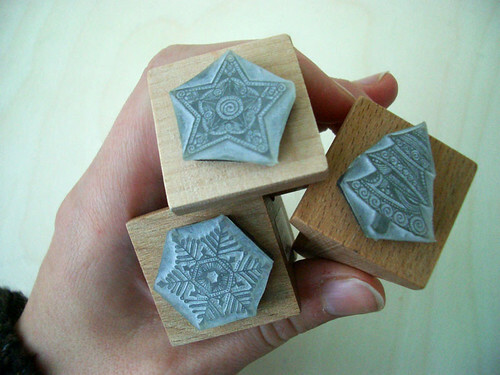 And the stamps! And everything, beautiful work! I'm now following Green Bean Studio blog! I'm a zine junkie so my favorite item she has is of course any of the zines. I love the Spring print as well! the autumn print is so cute! i would embroider that if i could!